I've heard about 3d-printing a lot in the past, although the hype seems to have mostly died down. My view has always been "That seems cool", coupled with "Everybody says making the models is very hard", and "the process itself is fiddly & time-consuming". When it boots up, unconfigured, it starts as an access-point. So you can connect and configure the WiFi network it should join. Once it's up and running you can point a web-browser at it. 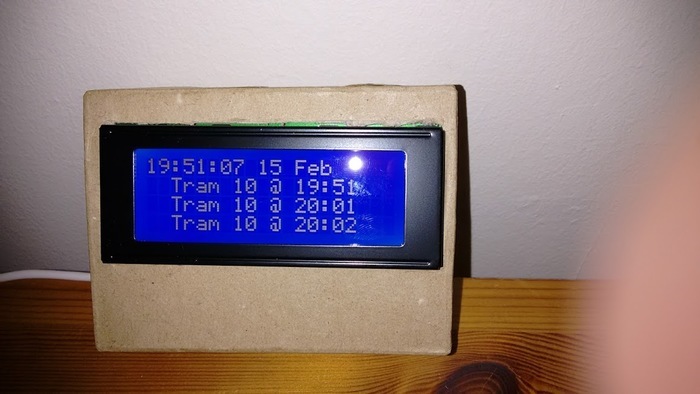 This lets you toggle the backlight, change the timezone, and the tram-stop. These values are persisted to flash so reboots will remember everything. Press & release - toggle the backlight. Press & release twice - a double-click if you like - show a message. Press, hold for 1 second, then release - re-sync the date/time & tram-data. Anyway the software is neat, and I can't think of anything obvious to change. So lets move onto the real topic of this post: 3D Printing. I randomly remembered that I'd heard about an online site holding 3D-models, and on a whim I searched for "4x20 LCD". That lead me to this design, which is exactly what I was looking for. Just like open-source software we're now living in a world where you can get open-source hardware! How cool is that? I had to trust the dimensions of the model, and obviously I was going to mount my new button into the box, rather than the knob shown. But having a model was great. I could download it, for free, and I could view it online at viewstl.com. But with a model obtained the next step was getting it printed. I found a bunch of commercial companies, here in Europe, who would print a model, and ship it to me, but when I uploaded the model they priced it at €90+. Too much. I'd almost lost interest when I stumbled across a site which provides a gateway into a series of individual/companies who will print things for you, on-demand: 3dhubs. Once again I uploaded my model, and this time I was able to select a guy in the same city as me. He printed my model for 1/3-1/4 of the price of the companies I'd found, and sent me fun pictures of the object while it was in the process of being printed. 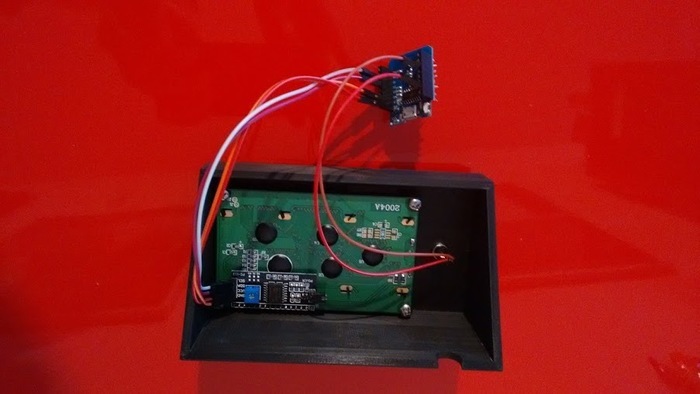 Of course the case still cost 5 times as much as the actual hardware involved (button: €0.05, processor-board €2.00 and LCD I2C display €3.00). But I've gone from being somebody who had zero experience with hardware-based projects 4 months ago, to somebody who has built a project which is functional and "pretty". The internet really is a glorious thing. Using it for learning, and coding is good, using it for building actual physical parts too? That's something I never could have predicted a few years ago and I can see myself doing it more in the future. 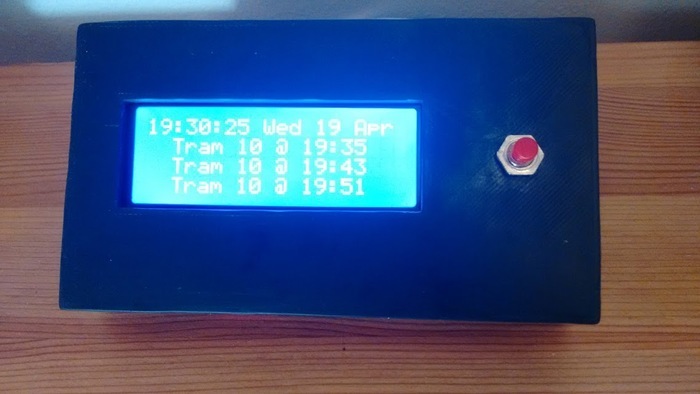 Tags: 3d-printing, arduino, esp8266. | 1 comment. Nice project! It's great that you are using 3D printing too. 3DHubs is good service. Many libraries and hackerspaces/makerspaces have acquired 3D printers and print at low cost so you may want to also check to see if there are any in your area that offer similar services.